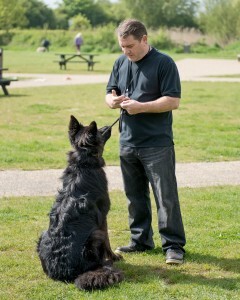 Are you looking for quality dog training? Do you have a problem dog and are you almost at the point of giving up? Unfortunately, in our line of work we see too many dogs given away or neglected due to dogs having problems that owners just do not know how to correct. Quite often some dog training one-to-one would be useful and beneficial to the dogs and their owners. Dog problem? Whatever the dog problem is, help is at hand. I am based in Essex, but travel the country, teaching enthusiasts about helping dogs with a variety of problems. Whether you need a home visit, or would like to bring your dog to my dog centre in Essex, I can assess the problem, help make a change, and advise on the course of action required. Below is a list of typical issues that I can help with. I advise on dog aggression among other dog problems, but whatever the problem is, I will offer professional help, and assist you to improve your dogs behaviour. Does your dog have a problem? I am not intimidated by any problem case, but please understand that each case is individual, and the rehabilitation process will vary from one dog to another. I am more than happy to explain anything and everything that will help you understand the reasoning behind my methods. Never be worried about asking any dog trainer WHY?. If you get a confident answer that makes sense, then you are in the right hands. I like to apply the minimal amount of correction to achieve the desired change, mixing basic methods that have been proven over the years, with more modern evolved techniques. Patience, persistence, and consistency are important to bring a dog back to a balanced state, and I teach the owner the required knowledge that will keep improving the dogs well-being . A calm energy, and an assertive approach is what I practice. Dog obedience is more about sit and stay, and although I can help regarding this, I like to rebalance a dog so that it is not having psychological issues. Aggression, anxiety, obsessions etc. are all symptoms of a psychological issue, but perfectly treatable. The object is to return the dog to a balanced state of mind, and teach the owners how to maintain this state. It is worth remembering that just like us humans, dogs are not born with all this baggage, but are a lot more willing to let it go. If I can help make a change, and you owners can maintain that help, the dog will finally be free to just be a dog.